Place is like an old warehouse, but with modern tables and bar. Floor us concrete, and roof trusses are exposed. Across the road from the big fire station. 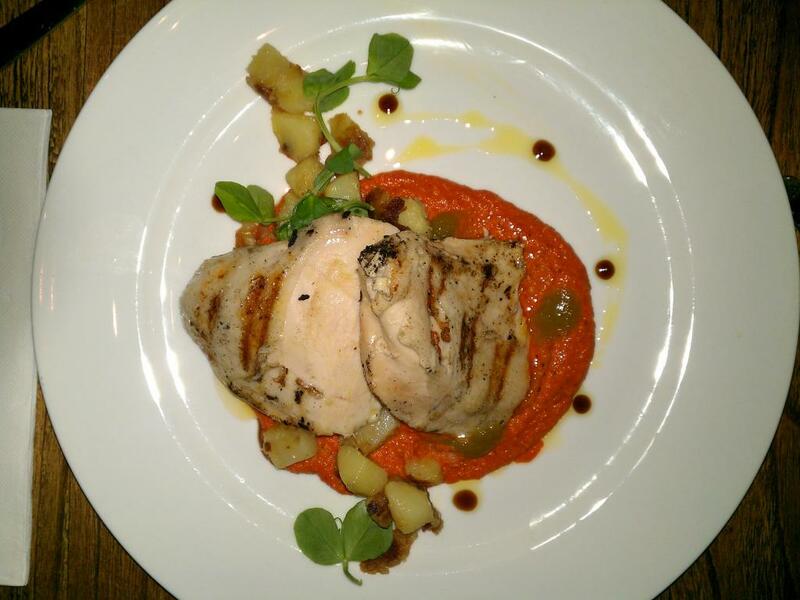 Romesco sauce, jalapeno essence, saute potato. If it turns out to be too spicy, I’ll just call over a fire engine. Taking its time, but waiter comes to explain that they’re low on chefs today, and that a big group of people arrived. Free OJ for my snout. Being sous vide, that chicken was extremely soft. It had no discernable “grain”, and could be cut through without sawing. However, it was still just two large chunks of rather unadorned chicken. The jalapeno sauce was only slightly spicy, but had almost no taste. The scarce potato cubes weren’t anything special. All in all, this was a soft, inoffensive, fairly bland pile of feed. The “doughnut” here wasn’t a doughnut at all. It was more like a crispy macaroon, but not coconutty. I ate it and its accompanying dollop if ice cream without breaking the creme brulee’s toffee crust below. 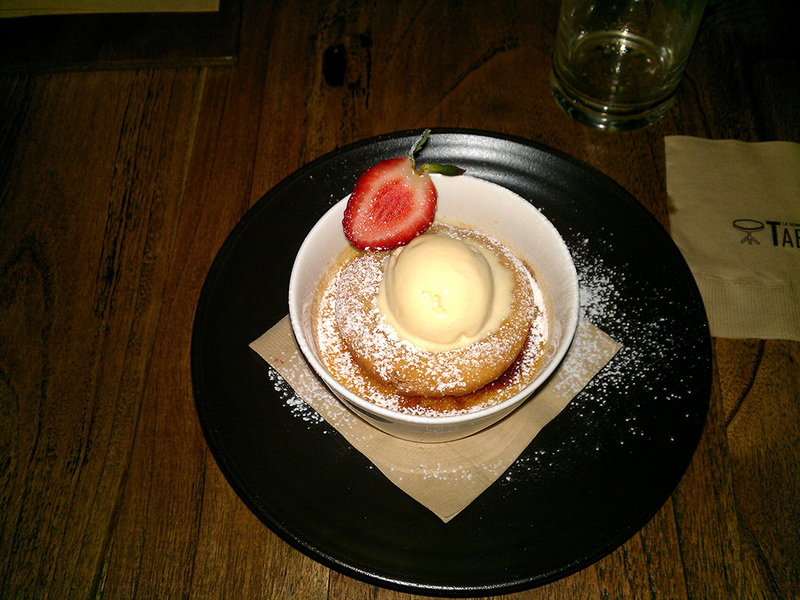 This cake was fairly good, but it certainly wasn’t a doughnut, and I’m not sure how it got onto my creme brulee. The actual creme brulee below had a thicker-than-usual toffee crust, which I found myself chewing on, on numerous occasions. The custard was passable, but lacked the strong flavour or thick texture of other creme brulees I’ve encountered. This creme brulee was somewhere between them and a 1L carton of Paul’s custard.